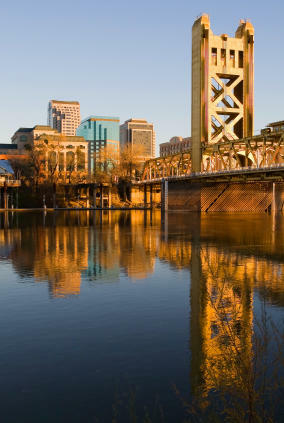 Even in the best of times, Sacramento tends to be a prisoner to low self-esteem. The region's population and economic growth have been humming along nicely for the past decade, drawing ever more educated workers from overpriced coastal counties, but the region's leaders have often seemed defensive about their flourishing town. So perhaps it's not surprising that the mortgage meltdown, which has hit the area hard, has sparked something of an identity crisis. Yet in trying to cope with hard times, it's important that the region not lose its focus on what paced Sacramento's past success: its ability to offer affordable, high-quality, largely single-family neighborhoods for middle class families. Sadly, the dominant narrative among many planners, politicians and developers in Sacramento today is to try to shed the family-friendly image. There's a growing consensus that low-density neighborhoods are passé and that the region's future success lies in retrofitting the region along a high-density, centralized model. Suburban areas like Rancho Cordova or Elk Grove, some believe, are destined to become the "the next slums" as middle-income homeowners, fleeing high gas prices, flock to the urban core. Although a healthier downtown with reasonable density is good for the entire region, the high-density focus does not make a good fit for a predominately middle class, family-oriented region such as Sacramento. Unlike an elite city like San Francisco, Sacramento's growth has been fueled by an influx of educated, family-oriented residents – the populations that have been fleeing such high-priced places where the housing supply is constrained. Long-term demographic trends, and perhaps common sense, suggest that most people do not move to Sacramento to indulge in a "hip and cool" urban lifestyle. If someone craves the excitement, bright lights and glamorous industries of a dense city, River City pales compared with places like San Francisco, New York or Los Angeles. The fact Sacramento has fared far better than these cities over the past 15 years suggests the region's recent problems lie not in a lack of downtown condos and nightlife, but with a housing market that, as in much of California, has been totally out of whack. Once a consistently affordable locale, by the mid-1990s Sacramento's housing prices jumped almost nine times income growth, an unsustainable pace seen in a few areas such as Riverside, Miami and Los Angeles. As a result, the refugees from the coastal counties who had been coming to Sacramento for affordable housing stopped arriving. Net migration to the region, more than 36,000 in 2001, fell to less than 1,000 in 2006. Ultimately only a housing market correction will again lure the people who have come to Sacramento seeking single-family houses – the type of home favored by about 80 percent of Californians – back to the region. Evidence that these people, or current suburbanites, might flock back to the core city is thin at best. The failures of such high-profile projects as The Towers and the region's stagnant rental market do not suggest a seismic shift toward denser living. One key reason has to do with patterns of job growth. Since 2000, suburban communities in the largest metropolitan areas have added jobs at roughly six times the rate of the urban cores. This pattern has had profound and often counterintuitive effects on commuting distances. Planners and journalists tend to think of cities in traditional concentric rings, with distance from the core as the key measurement of distance from jobs. But in most regions, the vast majority of employment is outside the core. Even in Sacramento, a state capital, only about 1 in 10 jobs are in the city center. Exurban employment growth since 2000 has been the fastest regionally, expanding at nearly twice the rate for Sacramento County. This means commuting distance – and thus exposure to higher gas prices – reflects more than proximity to the central core. In such diverse regions as Los Angeles and Chicago, the shortest average commutes exist both in the affluent inner-city neighborhoods and those suburbs and exurbs, where much of the employment growth has clustered. People who live in Irvine or Ontario in Southern California, or in the western suburbs of Chicago, for example, actually have shorter commutes than those residing in the barrios around downtown Los Angeles or in the Windy City's fabled South Side. These trends suggest a radically different response to high gas prices than the knee jerk downtown-centric approach now widely supported. Instead of cajoling people downtown, perhaps it would make more sense to accelerate employment growth in those suburban and exurban areas where the region's skilled work force is increasingly concentrated. These suburban nodes, both in and outside of Sacramento County, may very well become more important in the near future. With the state facing a perpetual budget deficit, state government – the dominant employer in the central city – may not expand and even could contract in years ahead. Perhaps a wiser approach would be to focus on the biotech, electronics and other firms, many concentrated in suburban areas, as the region's best hope for the creation of new high-wage jobs. Does this mean the region should invite unbridled, uncontrolled growth to the periphery? Not in the least. Successful suburban communities – think of Clovis outside Fresno or Irvine or Valencia in Southern California – provide a high quality of life to their residents. This suggests the need for greater investments in such things as developing lively town centers, expansive parks, wildlife and rural preserves, as well as maintaining good schools, which are often the key factor for families deciding where to live. This vision focuses not on one selected geographic area but on a broad spectrum of places across the region. It concentrates not exclusively on dense urban neighborhoods but on fostering a series of thriving villages from close-in city neighborhoods to places like Folsom, Roseville and even Elk Grove. Ultimately the suburb needs not to be demonized, but transformed into something more than bedrooms for a central core. In terms of reducing vehicle miles driven, a greater emphasis on telecommuting, including by state employees, would likely also do more than an expanded, very expensive light-rail system. Although more than 12 percent of commuters to and from downtown take transit daily, less than 2 percent of those commuting elsewhere do so. Given the structure of the suburban regions, with multiple nodes of work and a weak bus-feeder system, notions of turning Sacramento into a transit mecca like New York or even San Francisco are far-fetched at best. The central city will continue to maintain important functions, not only as a state capital but as a physical and cultural hub. But there needs to be recognition that "hip and cool" dense urbanity does not constitute the core competence of this region. For the foreseeable future, Sacramento's advantage against its coastal competitors will lie in providing affordable and highly livable modest-density neighborhoods for California's increasingly diverse middle class. Submitted by xijozx1122 on Tue, 05/12/2015 - 04:37. Submitted by xijozx1122 on Sat, 05/09/2015 - 05:42. Submitted by moonkahn on Tue, 05/05/2015 - 22:16. Submitted by xijozx1122 on Sat, 04/25/2015 - 07:24. Submitted by moonkahn on Sat, 04/18/2015 - 02:35. Submitted by xahgzr1122 on Thu, 04/16/2015 - 04:20. Submitted by moonkahn on Tue, 04/14/2015 - 09:59. Submitted by moonkahn on Tue, 04/14/2015 - 03:13. Submitted by moonkahn on Mon, 04/13/2015 - 04:36. Apple Ibeacon utilizes Bluetooth technology instead of the GPS system to accurately determine your position. This can be used to send information from the beacon to the consumer’s electronic device directly. Submitted by xahgzr1122 on Thu, 04/09/2015 - 08:51.